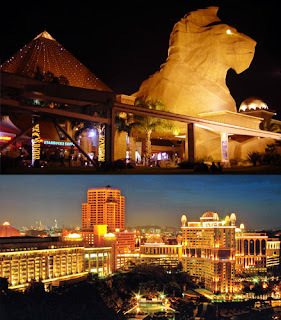 If the thought of a shopping expedition sets your pulses racing, then there is one Malaysian mall, you definitely have to include in your visit Malaysia itinerary, the gigantic Sunway Pyramid mall situated in the Klang Valley, at Bandar Sunway, Subang Jaya. This distinctive, one of a kind bastion of retail features Egyptian-inspired décor for it is shaped like pyramid and even has a Sphinx like creature guarding its entrance. Home to more than 800 shops, restaurants and recreational attractions like an ice-skating rink, an expansive theme park, a swimming pool, a kid’s entertainment corner, a nightclub, a food street, a bowling alley and an archer’s corner, the Sunway Pyramid is one of the biggest malls in Malaysia and it has something for everybody, shoppers and non-shoppers alike. Keeping in line its Egyptian-theme, the mall is littered liberally with faux-Pharaoh statues and hieroglyphic engravings. Sunway Pyramid’s anchor tenants currently include popular Malaysian department store chains like Aeon, Cold Storage and Parkson Grand. Extending over 1.7 million sq.ft, this expansive mall is divided into two main sections the original wing and the extension or Pyramid 2. However, you will be surprised to learn that only the older section of the mall displays the Egyptian décor whereas the newer section is somewhat more modern in appearance. 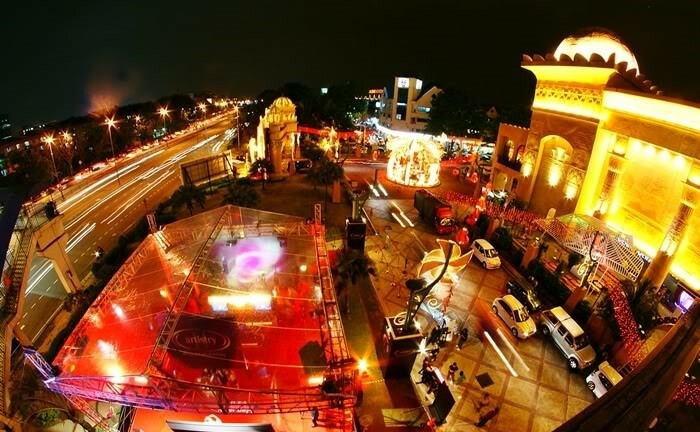 The mall attempts to give its visitors a comprehensive, all-inclusive shopping experience and offers a wide variety of shopping, dining and entertainment options. The many shops at the mall belong to both local and international high-end and mid-range brands like Coach, Ecco, Bonia, Kiehls, Clinique, M.A.C., POPULAR, Harvey Norman, Mango, Zara, Uniqlo and many others. Additionally, these stores offer a wide range of products like apparel for all the family, footwear, lifestyle products, beauty products, digital equipment, gifts and souvenirs, timepieces, toys and games and much more, as the mall tries to cater to every conceivable need. Also onsite at the mall are vendors offering a smorgasbord of services like spa, medical, banking, beauty, money-changing and even postal services. As for food the mall has every kind of cuisine covered at its numerous fast-food outlets, full-service restaurants and food courts. Pizzas, hot dogs, sushi, kebabs, dim sum, the eateries at the mall serve them all and more. Thereby ensuring that shoppers are never deprived of food or drink on their shopping expeditions. Such is the range and variety of products and services offered by this huge mall that a shopping-mad tourist could very well focus his/her entire Malaysian vacation around the grand Sunway Pyramid Mall. This is actually a very viable concept for the mall is located within walking distance of three hotels (all operated by the Sunway group)- the Sunway Pyramid hotel, the Sunway Resort and Spa and the Villas hotel. 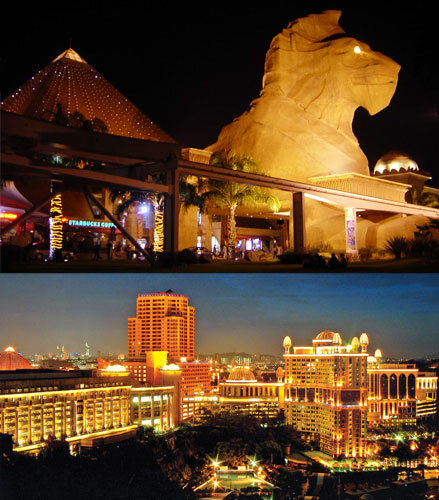 All three properties offer diverse accommodation options and provide shopping enthusiasts the chance to easily plan a shopping holiday at Malaysia’s magnificent Sunway Pyramid mall.